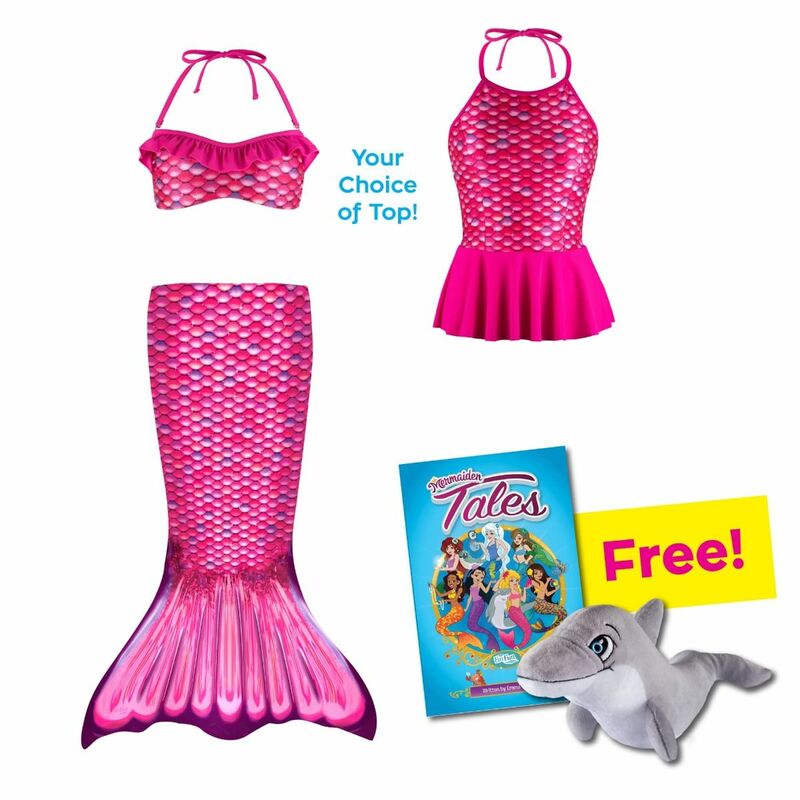 Give your little tot the gift of mermaid magic with our holiday gift set featuring a Malibu Pink mermaid tail skirt & swim top, Mermaiden Tales book, and plush dolphin toy! Show your little princess that she can be a mermaid too with our exclusive gift bundle inspired by Mermaiden Waverlee from the California coast! This Malibu Pink mermaid tail set features our signature scale mermaid tail skirt in our newly designed pattern of hot pink and purple hues, plus a matching swim top in a bandeau or tankini style. She’ll even get our Mermaiden Tales book and plush FinFriend Bubbles the Dolphin as an added bonus!